Looking for private in-home or in-studio Acting classes? Our Brandeis teachers are ready to get you started. Find your teacher today! Briana also holds a masters degree in English literature and has been teaching English for over 15 years. She is qualified to teach the following: English as a second language, creative writing, English literature, advanced essay writing, composition, and a wide array of others. She teaches at the elementary, middle, high school, and college levels. a has studied various vocal genres under a wide variety of coaches: classical, chamber, and pop voice; musical theatre voice and jazz, soul, R&B, and gospel technique at McGill University in Montreal. Briana also spent 10 years studying the classical Suzuki method of piano under Phyllis Kranz (Dover, NH), which helped to develop her ear. Briana can be heard in commercials including the 2015 international campaign for Coca-Cola directed by David LaChapelle, the 2015 American Express campaign, backing Aretha Franklin on the legendary "Natural Woman," Maybelline's CS Creamy Mattes starring supermodel Adriana Lima, David LaChapelle's Smirnoff spot starring Amber Rose, the 2011 Fanta "Vision" campaign, and national advertisements for "Living Social." She also works frequently in film and television as a soundtrack contributor on numerous projects, including Disney's My Babysitter's a Vampire (2010) (TV), Image's horror anthology Chillerama (2011), and the science fiction film Devolution: Reckoning (2011). With a unique blend of blues, pop and soul, Briana's immensely popular debut album GRANITE STATE (2009) led to a series of packed shows on the stages of the Sunset Strip, including House of Blues, Key Club, and the Whiskey a Go Go. Her follow-up album, "Armor" was released in 2011 to successful sales on Amazon, iTunes, and Rhapsody. Briana has also been the featured guest performer at a number of prestigious private events: Dodger Stadium (anthem singer), The Molson Centre (anthem singer), The Whittemore Center (anthem singer), various Gubernatorial Galas, Inaugurations, and more. Brianna was fantastic with my fourteen year old! She helped build up confidence, was very encouraging and made lessons fun. She uses a variety of techniques to teach singing skills including speech-level singing by Seth Riggs. I highly recommend her for beginners as well as for people looking to record a demo. I started taking singing lessons because I wanted to pick up another hobby, and Briana has helped me do just that. She is incredibly knowledgeable, helpful, and supportive regardless of what your goals are. She makes the technical side of signing fun and enjoyable, something other teachers I have worked with have been unsuccessful at. Briana provides a positive and warm space to let loose in, and most importantly has reminded me that I don't always have to take myself so seriously. I highly recommend Briana to anyone who is looking for a teacher they can create a connection with, regardless of skill level because she can handle it all! Whether you’re new to performing entirely or you’re continuing the work, I can help you build a toolbox that you can apply to every character. And if you’re highly experienced and just need some audition prep, I can help with that too! I have been coaching fellow professionals for their auditions for several years. If you purchase ongoing lessons, we will mainly work with monologues so that I can see and hear everything you’re doing, but if you have some experience, we can also work on scenes together. We will identify habits of speech and behavior that may be getting in your way, and I will work with you to minimize or change them. We will also look at how to analyze a scene to get the most playable action out of it and make it most fun to work on. I play Marty on the Golden Globe winning show Crazy Ex-Girlfriend. 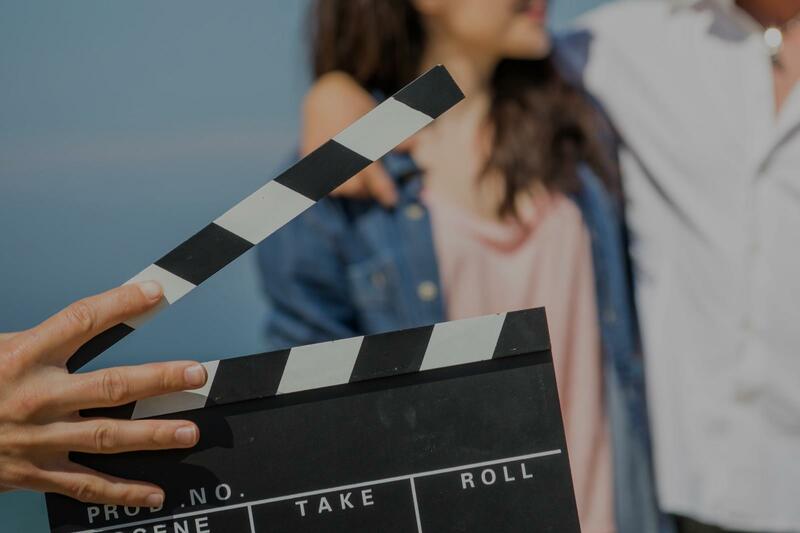 Whether you are an actor looking to take your career up a notch or just want an awesome way to build focus and confidence, we will achieve your goals together. As a teacher and working actor in film/tv, classical theater and improv comedy, there are few things I love as much as assisting students in making breakthroughs and discoveries.